We are a group of aviation enthusiasts, aircraft builders, and pilots who get together with like-minded people to share ideas, exchange information, encourage safety, serve the local aviation community and have a lot of fun doing so. Please come to our next meeting or event as our guest. EAA Chapter 1049 is the Teton Valley Wyoming and Teton County Idaho local chapter. Follow the link for a full listing of our events. Please come to our next meeting or event as our guest! The Young Eagles Program is for kids aged 8 – 17. Our chapter flies local kids every summer. 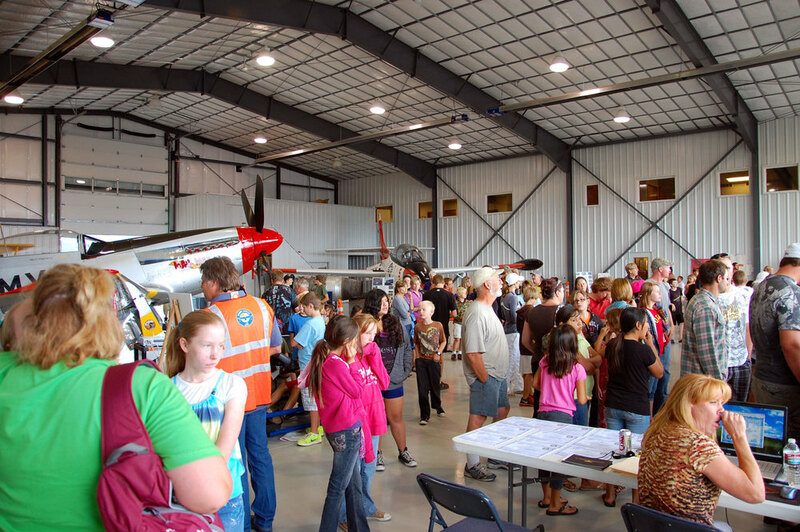 We have aircraft on display, educational material, a flight simulator, and pilots to answer questions. Scholarships are awarded to students who show interest in an aviation career, related career, or have interest in flying as a hobby and would be able to share that experience with others. EAA Chapter 1049 is the Teton Valley Wyoming and Teton County Idaho local chapter. We are a Wyoming 501c3 nonprofit.